Members of the Druze community protesting the passage of the Nation-State Law, outside the President's residence in Jerusalem, 7 September 2018. Photo by Noam Rivkin Fenton. Flash90. Arie M. Dubnov is the Max Ticktin Chair of Israel Studies at George Washington University. In this long read he writes as ‘a Jewish citizen of Israel, and by this virtue – a member of the fortunate, favored group that is privileged by the new legislation passed in summer 2018 – namely, the Basic Law: Israel as the Nation-State of the Jewish People.’ Dubnov indicts the law because of what it lacks – ‘any promise of equality and democracy, a Bill of Rights of any kind, that takes into consideration the non-Jewish citizens of Israel’ – and because of the real-world political context in which it is being enacted and from which it derives its meaning: ‘populist campaigns against “politically correctness,” toleration of others and basic norms of civility, alongside increased attempts by state authorities to curtail the activities of NGOs and human rights activists, targeted as “radical” and the weakening commitment of the Israeli legislature to the democratic rules of the game.’ Dubnov identifies four reasons liberal democrats should be worried by the law: its treatment of ‘Jewish settlement’, Jerusalem, the Arabic language, and Israel-Diaspora relations. He also notes with alarm the place accorded to the Druze in the new law. Download a PDF version here. In the weeks ahead, Fathom’s editors will publish alternative analyses of the Nation-State Law and we also invite the responses of readers. Of this I am certain, that in a democracy, the majority of the citizens is capable of exercising the most cruel oppressions upon the minority whenever strong divisions prevail in that polity, as they often must. – Edmund Burke, Reflections on The Revolution in France (1790). There is a famous Latin proverb that says ‘dūra lēx, sed lēx’: it can be roughly translated as ‘The law is hard, but [is still ] law.’ The phrase was probably coined to defend the harsh measures of the Roman civil law: however harsh the Law may be, however regrettable the outcome of the Law may be, we still prefer it to the opposite – lawlessness and chaos. As a historian who has dedicated much of his time to studying that unfashionable position called liberal Zionism – an almost obsolete view these days, in Israel as well as in growing number of Western countries – I tend to be sympathetic. I prefer a society that is regulated by law, in which the rules of the game are transparent and known, and rulers are not above the law. Naïve perhaps, but I still believe that societies in which rule of law is honored are more likely to be free from tyranny. And it goes without saying that law cannot be hidden. When laws are not generally known, when they are kept secret by the small group of nobles who rule us, we enter the nightmarish world of Kafka’s novel The Trial. In such a world, there are no civic-minded citizens inspired by an appeal of a common future but nameless subjects, a multitude of Ks, as Kafka called his character, administered by a system which they did not create and which is not their own, frustrated by their inability to interpret it, exasperated by the fact they cannot recognise any logical connection between the abstract legal mind and the everyday moral commonsense and the obvious acts of injustice they see around them. Besides being an avid reader of Kafka, however, I am also, fair disclosure required, a Jewish citizen of Israel, and by this virtue – a member of the fortunate, favored group that is privileged by the new legislation passed in summer 2018 – namely, the Basic Law: Israel as the Nation-State of the Jewish People. So why do I find the new Nation-State Law so troubling? It is not simple to answer this question because the main problem with the law is what it lacks, those things that are not included in it. 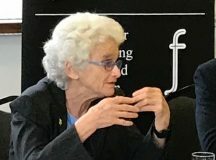 First and foremost is a lack of any promise of equality and democracy, a Bill of Rights of any kind, that takes into consideration the non-Jewish citizens of Israel, constituting 21 per cent of the general population (without including the million infringed Palestinian residents in Gaza and the West Bank that are non-citizens and are caught in a legal limbo). Our challenge, in other words, has much to do with the fact we are dealing here, to paraphrase Arthur Conan Doyle, with a dog that should have but in practice did not bark: one would have expected a declaration about the need to ensure the complete equality of social and political rights for non-Jews, but no such caveat made it into the law. Second, as a historian who cannot but read this law in light of earlier political documents and legal precedents, I see it as further marginalising, ignoring and ultimately alienating the non-Jewish residents of Israel. The century-old Balfour Declaration, a product of wartime diplomacy, intense intra-British political negotiation and interpretive acrobatics, found a way not to mention any Arabs by name, yet stated explicitly that ‘nothing shall be done which may prejudice the civil and religious rights of existing non-Jewish communities in Palestine.’ A similar formula found its way into the League of Nations’ mandate of Palestine (1923) and replicated, with variation, in the Israeli Proclamation of Independence (1948). The authors of the new law found no need to add any such clause or caveat, not even in the form of an empty lip service. Many warning signs become visible once the law is resituated within such a trajectory. Given the fact many phrases and clauses in the new law, as I will show next, are not unprecedented but actually replicate and restate earlier laws, this fatal omission becomes far more visible. It suggests an intention, a conscious decision on behalf of the authors of the bill to ignore earlier precedents. There is little wonder why, therefore, the law is seen as indicator of the weakening commitment of the Israeli legislator to democratic rules of the game and its surrender to populist politics. Third, the historian’s perspective is crucial in this case not only because it reveals earlier traditions or longer processes, but also due to the historian’s commitment to context. Legal experts, who focus on the legal text alone, are emancipated from the need to contextualise. But the historian, who cannot but place the text in context, becomes better attuned to the interplay between political climate and legal thought. Law professors are not engaging in such exercises not because they are lazy or ill intended, but because this is not part of their professional terrain. It is, however, the province of the historian. Far more important, it is her/his duty. The responses to the recent law illustrate this dynamic: too many commentators preferred to ignore that gap between ‘the speech-making and decision-taking’, as Hannah Arendt called it, tended not to mention a body of tacit assumptions and explicit declarations and concerns that informed the authors of the bill, and avoided examining the ways in which the lay audience understood the law and the way in which it interpreted by the general public. My following remarks are thus an attempt to shed light on these ignored issues. First, I will explain that what’s discussed here is neither an ordinary law nor a new clause of a constitution but a hybrid, unique Israeli legal invention called a Basic Law. The historical back-story that explains how such laws emerged is, I believe, important in our case. Next, I will focus on four clauses of the new law that are open to multiple possible interpretations, which I find problematic, especially if we locate them within a larger context. Finally, I will look at one of the immediate reactions to the law, that was understood as creating a new ‘Druze problem,’ and the highly problematic ways in which it was addressed. Lacking a constitution, Israel’s Basic Laws came into the world in a different way than most constitutions, and function differently than constitutional laws. Apart from a handful of historians and legal scholars, very few contemporary observers pay attention to the fact that Israel was supposed to have a constitution. It was first mentioned in the UN’s Resolution 181 (29 November 1947), that stipulated that a constitution would be accepted for each of the states that will be created in post-partition Palestine, and made it from there into Israel’s Proclamation of Independence (14 May 1948). Why does Israel have no constitution? Several preliminary versions of a future constitution were prepared during those dramatic months, with one in particular, drafted in late 1947 or early 1948 by Dr. Leo (Yehuda Pinchas) Kohn, a legal expert and secretary of the Jewish Agency’s Political Department, and modeled after the constitution of the Irish Free State. Kohn’s initial sketch was anchored in the circumstances of the time, and was predicated on the idea of partition: it stated that the seat of Government would be on Mount Carmel and not Jerusalem, which was to become a Corpus separatum (‘separated body’) belonging to neither of the two partitioned states; it suggested names such as Yehuda, Zion, The Land of Israel, or The Western Land of Israel for the future state; and although it defined the state as ‘the national home of the Jewish people’ it purposely refrained from delegating the job of defining who is a Jew to an orthodox Chief Rabbi – an attempt to prevent the rabbinate from playing a role equivalent to the Catholic church in Ireland – and envisioned instead that there shall be no state endowment of any religion. Kohn’s proposals were taken seriously, going through several cycles or revisions and rewriting. Furthermore, when the members of the People’s Council declared Israel an independent state, they followed the wording of Resolution 181 and stated that an elected Constituent Assembly (H’assefa Hamechonenet) would prepare a constitution for the new state by 1 October 1948, they had already an initial sketch in mind. And yet, the members of this Assembly and First Knesset not only missed the deadline they imposed on themselves, but also failed to propose an agreed-upon constitution. More than extreme wartime conditions, this failure had more to do with the pushback coming from the representatives of the Jewish Orthodox community, who found Kohn’s proposal too liberal and secular, with MK Rabbi Zerach Warhaftig (the chairman of the committee and member of the deceased United Religious Front) demanding that more references would be made to Judaic sources, and the ultra-Orthodox Yitzhak-Meir Levin (Minister of Welfare and leader of Agudat Israel) dismissing the proposal altogether, claiming that it was not Jewish at all, and that to call a state ‘Jewish’ without letting it be governed by Halacha (Jewish religious law) is ‘the shunting aside of the Torah, a rebellion against the Kingdom of God in its very land itself.’ Wishing to avoid a secular-religious Kulturkampf, David Ben-Gurion, Israel’s first Prime Minister began dismissing in public the very idea that the new state needs a written constitution as soon as February 1949. The wish to avoid a religious-secular divide continued shaping Ben-Gurion’s political decisions also later on. It resurfaced, most famously, in 1958-9, when a controversy surrounding the way the Populations Registry should categorise children of mixed marriages led him to write to 50 Jewish thinkers in the Israel and the Diaspora who were asked to express their opinions and define, indirectly, who is a Jew. Either way, the failure to adapt a formal constitution in 1948-9 revealed early on the absence of societal consensus in Israel; the inability, as the political scientist Hanna Lerner put it, to agree on the ‘We’ that often appears in constitutions that open with the declaration ‘We the people.’ Noteworthy, this constitutional debate did not reflect the deep ethno-national schisms separating Jews from Arabs. Instead, it was the result of a predominantly an intra-Jewish debate that was left unsolved and grows increasingly bitter over the years, between those who sought to replicate a liberal or republican secular constitution and those who were guided by Jewish religious law and worried that a modern constitution would come into conflict with the Halacha. It revealed the large gulfs between the democratic and Jewish elements in the new polity, and the decision to avoid deciding on a constitution may have been yet another attempt to avoid catalysing an even sharper chasm between the two camps. Metaphorically as well as literally, the non-Jewish citizens of the future state were not invited to participate in the deliberations, nor played a role in torpedoing the initial effort to create a constitution. Basic Laws: Israel’s substitute for a constitution? Basic Laws were the imperfect mechanism that was created as a substitute. They came to be perceived as the closest one can get to a constitution or an amendment to the constitution in Israel, thought they are passed by an ordinary majority (i.e. a majority of those voting) in the Knesset, Israel’s parliament. Basic Laws, in other words, are not products of long deliberations of a council of old wise men, a group of philosophers or founding fathers but bargaining chips in a political struggle in a shaky coalition within a deeply fractured society. Is this Israel’s ancestral sin, demonstrating the famous phrase from the book of Jeramiah ‘Avot Yochlu Boser v’Shinei ha’Banim Tikhenah’ (אָבוֹת אָכְלוּ בֹּסֶר וְשִׁנֵּי בָּנִים תִּקְהֶינָה — children are punished for their fathers’ sins)? I do not know. But we do need to appreciate the historical differences separating the robust democratic tradition, constitution and institutions in the United States from the shaky Jewish republic in the Middle East. The larger intellectual universe the American constitution emerged from was the Enlightenment world of Locke, Hume and Montesquieu, and the transatlantic voyage of ideas from France and Britain to Monticello and Philadelphia. They were accompanied by a deep mistrust of demagogues and constant fear of easily abused political power, and that mistrust created America’s unwritten democratic norms alongside its Madisonian system of checks and balances. The attempts to create an Israeli constitution emerged in the context of Britain’s post-WWII imperial breakdown, partition and war, not so much organically as in response to an ‘external’, formal demand from the United Nations, that quickly crashed against the hard rock of internal Jewish quarrels. More than anything, it not only exposed some of the schisms that would continue dominating Israel’s Jewish society in the future, but revealed how limited was the ability of intellectuals to set in stone the legal character of a national polity. Ben-Gurion was no Jefferson in that respect, and Jerusalem is no Philadelphia. To this day, Israeli legal experts continue to debate the merits of the Basic Laws. One school claims them to be no better than any ordinary law, unless they include a specific stipulation to the contrary; the other finds them to be superior because they derive from deliberations at the Knesset in its capacity as a contemporary Constituent Assembly. The former President of the Israeli Supreme Court Aharon Barak preferred the latter interpretation, describing the Knesset as ‘wearing two hats,’ functioning both as a constituent authority and a legislative branch. Barak’s statement was made in 1992, in the context of a broader effort to promote a ‘constitutional revolution,’ as it was called at the time, which came together with the enactment of the Basic Law: Human Dignity and Liberty. Neither the Israeli public nor the politicians who claim to express its will can be expected to untie this legal Gordian knot, nor can we expect them to be so pedantic and analytic as legal scholars and determine whether we should follow a ‘minimalist’ or a ‘maximalist’ ‘interpretation of the status of Basic Laws. This serves as a reminder that gaps and ambiguities are inherent in all legal systems, and that laws can be interpreted in many different, and even contradictory, ways. Crucially, it is also where the extra-legal context matters: as years passed and more Basic Laws were added to the list, the more they came to be perceived by the public as ideological and political instruments, bolstering a specific partisan party cause rather as statements of overarching consensus or wise measures to frame a system of government for everybody. The Basic Law that defines Jerusalem as Capital of Israel, passed by Menachem Begin’s government in summer 1980, was seen as an achievement of the Likud party or ‘the Right,’ more generally. When the Ninth Basic Law, Human Dignity and Liberty passed in 1992 it was perceived as ‘Leftist’ attempt to bolster the centers of power upheld by the old Labor and predominantly Ashkenazi hegemony, regardless of the fact philosophers and legal experts were involved in drafting the bill. Not surprisingly, in this context the Israeli right quickly adopted a ‘minimalist’ interpretation of the basic laws in order to undermine the authority of that specific instrument and pushed back against the ‘judicial activism’ advanced at those years by Chief Justice Barak. Today, it is unlikely to find members of the same group giving the same minimalist interpretation to the new basic law simply because it corresponds better with their political worldview. Indeed, the least surprising thing would be to find Israeli politicians who have taken each of these two positions in inconsistent and instrumental fashion according to their ideological reasoning. Since Ignorantia legis nonexcusat (ignorance of the law excuses no one), let us examine the legal text itself. The Nation-State Law will be open to future legal interpretations, but several clauses and significant phrases that are included in it would require future interpreters to be highly creative if they wish to argue that the law does not exclude non-Jews or establishes the Jews political superiority. I would like to focus on four such clauses. The law states: ‘The State views the development of Jewish settlement as a national value, and shall act to encourage and promote its establishment and consolidation.’ (translations from Hebrew are by the author.) It is noteworthy that earlier drafts of the Nation-State Bill included a radically different section, which stated that every resident of Israel, regardless of religion or nationality, is entitled to act to preserve her/his culture, education, heritage, language and identity, and that the state shall allow members of other religious and national communities to maintain separate communal settlement. The radical rewriting of the section was the result of stormy debates in the Knesset during July 2018. To be sure, the value of settlement existed both in the Declaration of Independence and before the establishment of the state. As historian Yair Wallach showed convincingly, the way in which the Hebrew term ‘yishuv’ (settlement) turned from a noun into a verb, charged ideologically, and ended up referring not only to a distinct social group or place of residence but to an ideological project (ra’ayon hayishuv; literally, ‘the idea of settlement’) is one of the oldest features of Zionist thought, traced all the way back to late Ottoman period. It rings differently in a post-1967 context, ever since Israel occupied the West Bank, Gaza and the Golan Heights, but as long as these territories are not formally annexed – with the Golan Heights being a notable exception – the new law has no formal impact on them. And yet, that clause of the new law has an operative essence, not just a symbolic one. It is hard to see how it does not establish discrimination. The new Law states that only Jewish settlement has value, and thus discriminates against all non-Jews, like the Druze, Christians, Muslims and other minority communities, who are equally eager to build their own communities. Does this mean that the state will be able to establish settlements for Jews only? Can you give economic incentives to settle in a certain place only for Jews? That’s one of the questions that the politicians left for judges to struggle with in the future. The priority is clear, however: to advance the settlement of one group over the other. In a country where land resources as well as financial resources are limited, promotion will come at the expense of something. The new law declares: ‘A complete and united Jerusalem is the capital of Israel.’ This, to be sure, is not new, since the 1980 ‘Basic Law: Jerusalem — Capital of Israel’ stated exactly the same thing. So why is there so much resentment? First, because people have a short memory. Second, because of the context of its timing: it is read in light of President Trump’s recent decision to transfer the U.S. embassy to Jerusalem. Third, the problem is not the repetition, but the fact that ‘united Jerusalem,’ as the legislator now recognises it, includes East Jerusalem, an area occupied in 1967 that is not recognised by the United Nations or international law and is considered occupied territory without Israeli sovereignty. But the Nation-State Law creates a situation in which Israel applies its laws to this territory. The new law states that ‘the Arabic language has a special status in the country; The regulation of the use of Arabic in state institutions or before them shall be in law.’ The term ‘special status’ is vague and has no clear legal meaning. A historical perspective can help interpret this section, I believe: until the enactment of the new Basic Law, Israeli law was based on a mandatory provision called ‘The King’s Word in the Council,’ which determined that Arabic and Hebrew have equal status and are official languages. The new law changes this situation and states explicitly that Hebrew is the language of the state, and that Arabic has a ‘special’ status. For the first seven decades of its existence, Israel’s legislative community felt no urge to change this legal formula, nor there was any sense of urgency expressed by linguists, educators or intellectuals who may have felt that the status of Hebrew was eroded. Quite on the contrary: Hebrew flourishes in contemporary Israel, and while only a small section of Israel’s Jewish citizens can converse in Arabic (or, as a matter of fact, Laddino, Yiddish, and other languages that were the mother-tongue languages of their Jewish ancestors), the majority of Israel’s non-Jewish citizens speak Hebrew and use it on a daily basis. Given the fact the legislators did not define what they mean by ‘special status’ ascribed to Arabic, future confrontations in the courts will have to determine its meaning. In questions of language, Zionists were ahead of the curve: after World War One and President Wilson’s Fourteen Points, language became a central element in any discussion about the right to cultural self-determination. It went hand in hand with a new attention given to minorities that need to be protected from forced cultural assimilation imposed on them by their neighbors. Put otherwise, the notion that Jews have the right not only to use a distinct language but also to revive Hebrew as a spoken language was always part and parcel of Zionist political ideology, and it went together with the liberal ideal that a minority group is entitled to protect itself from the tyranny of the majority. There is an acidic irony here, therefore, that Israel Jews, now a majority, powerful group and not a persecuted minority, are not recognising the same right Zionists fought for among the others who live among them. It should be noted that not all Palestinian citizens of Israel are paranoid. Professor Mahmud Ghanayim, Professor Emeritus of Modern Arabic Literature at ‎Tel Aviv University and founding President of the Arabic Language Academy (a body that was established only in 2008), suggested that since it is very unlikely that the Nationality Law would be annulled, one must now seek further legislation to determine the meaning of that special status. 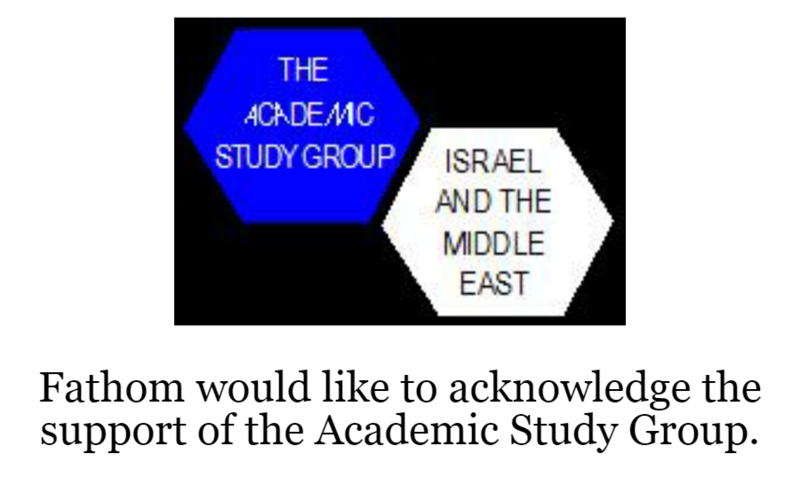 Potentially, he suggested, there can be a window of opportunity here to introduce the idea that the study of Arabic in Jewish schools would become mandatory from the first grade through the end of high school. And on that I can only say Inshalla! When there is difficulty there is also an opportunity. Why is this problematic? First, if an Arab citizen of the State of Israel is found in captivity because of his Israeli citizenship, is the state is supposed to be responsible for him? This is not clear from the law. Second, who is defined as a Jew? The authors of the new law of course avoided opening this Pandora’s Box. In not defining who is a Jew, they followed the footsteps of other laws that de facto delegated the task to the Chief Rabbinate, that recognises only Orthodox Judaism. Indeed, the new bill that supposedly makes the tie between Israeli and diaspora Jews official can potentially have the exact opposite effect, accentuating the fact Israeli law does not recognise non-Orthodox Judaism, and is inclined to adopt a non-inclusive definition of Jewishness. This, unfortunately, is far from a hypothetical scenario: a few weeks ago, at the wake of the horrible shooting that took place at the Tree of Life Conservative congregation in Pittsburgh, Israel’s current Chief Rabbi Yisrael Meir Lau was unwilling to calls the site of the massacre a synagogue, but only ‘a place with profound Jewish flavor’. The new law works well with these euphemistic formulas. 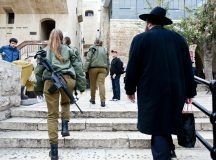 If the volumes of anti-Jewish violence in the USA or other countries will continue rising and the Israeli state will be asked to step in, to devote its resources to combat antisemitism with more than empty rhetoric, it will become even more tempting to opt out by endorsing the most minimalist, ultra-Orthodox, sectorial and exclusive definition of Judaism. On the other hand, if I put myself in the shoes of the non-Jewish citizen of Israel I wonder: is it a wise decision to declare in law that the State of Israel is in charge not only of its Jewish citizens in Israel but of all the Jews in the world? If I am a Christian or a Muslim citizen of Israel, I can expect my tax money to support Jewish causes in Israel, but why should the state spend its resources on people who are not its citizens? If you are a Jew and not an Israeli citizen, why would the state be supposed to take care of you too? One can argue that there was always a tacit, ‘gentlemen’s agreement’ between the State of Israel and Diaspora Jews that meant that even Jews who do not pay taxes in Israel and do not have the obligations and rights of an Israeli citizen can expect Israel to be out there for them. It is beyond the scope of this paper to survey Israel-Diaspora relations, but it safe to suggest that even today many Jews around the world indeed expect Israel to help them in times of trouble, and that they support Israel in return, in what is often described as an insurance policy. But this ‘insurance policy’ is a metaphor, not a legally binding contract. The new legislation erases the distance between informal agreements and state laws and makes it official: the state’s resources (the tax money of everyone, including the Arabs) will also be directed to non-citizens (e.g., a Jew who was imprisoned abroad because the regime is anti-Semitic). By sending a message to the Israeli Arabs — 21 per cent of Israel’s population — that they were not as equal as the Jewish residents of Israel, the Law has also alienated the members of the Druze community, whose sons serve in big numbers in the IDF and the Israeli police. They were the first to express their deep disappointment and have spoken openly about feeling betrayed. A son loyal to Israel is born. [Learning about] Mohammed for two hours, and three hours – Zionism. To the Sayeret [elite combat unit], on purpose, and later –an officers’ training course. Who could ever tell that he was a Druzi [Druze]? According to a recent radio interview with Kabishi, when his parents came to visit him at the hospital wearing kaffiyas and traditional cloths they were beaten up by a Jewish mob that ‘mistakenly’ thought them to be Arabs. The story of the Druze, a small Arabic-speaking tight-knit community, sometimes described as a ‘religious sect’ due to their secret religion, won’t be told here. Nor does it start in 1974, with Kabishi. 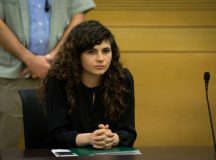 As historian Laila Parsons showed, their faithfulness towards the State of Israel dates back to the 1948 War, when representatives of the recently established Israeli Foreign Ministry met with Druze leaders in the Western Galilee, and succeeded in obtaining the assurance that they would not fight on the Arab side. Over the years, more than 400 Israeli Druze citizens and soldiers have been killed in wars and conflict, including many who protected Israeli Jews against Palestinian terror attacks. No wonder many retired generals and police commissioners expressed their indignation and called for the law to be scrapped. The Israeli Jewish public is confused and far from united. Much of this perplexity could be better appreciated if read against the backdrop of Geffen’s ballad. On 4 August (a Saturday night), a huge crowd gathered in Tel Aviv to protest against the new Basic Law. I was there, part participant, part observer. The crowd were protesting what, exactly? It was unclear. Some argued that they were protesting against the shameful law, but feared this message might be seen as too ‘Leftist’. 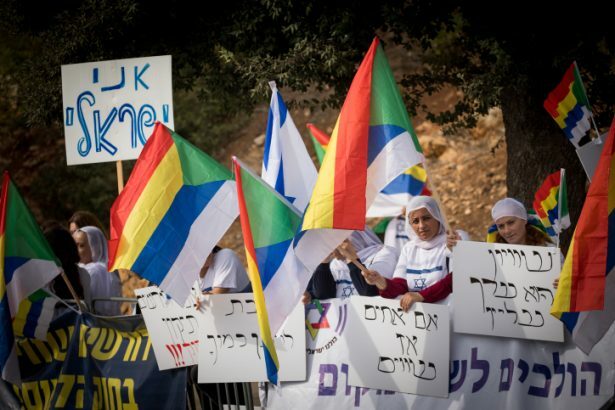 Others — including the organisers of the rally who were Druze — were less concerned with equality to all citizens but rather focused on a ‘special interest group’ outraged by the slap in the face of the Druze, and thus emphasised the ‘brothers-in-arms’ message. The ad hoc solution of the Druze scandal was very problematic: issue a separate law that will give Druze a ‘special status’ as a ‘privilege’. 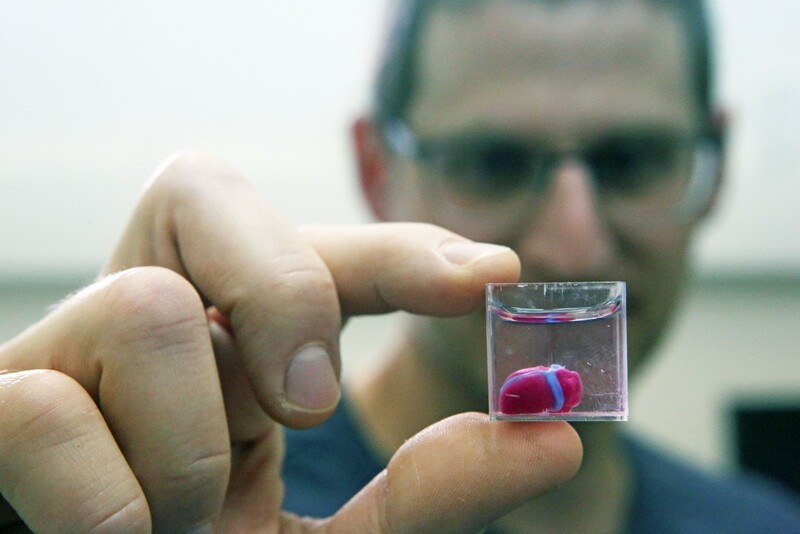 I suggest to name it Donatio Binyamini, named after the current Israeli Prime Minister (and echoing the infamous Donatio Constantini, the forged document that supposedly transferred authority over Rome from the Emperor to the Pope as a ‘present’). The problem with such ad hoc solution and the Donatio Binyamini is simple: the State of Israel today paves the way back to a feudal system of rights: each group has its own set of privileges — a private law that has specific rights and obligations that are unique to it and distinguish it from others — which it receives in a form of a charter from the sovereign prince on which it depends entirely. The arbitrariness of his decision – Emperor Binyamini will grant the right if he wants, and can take them back in return if he so wills — is part of the old/new rules of the game. The modern republic, in which everyone has in principle (even if only ostensibly) the same rights and obligations regardless of ethnic affiliation, is gradually but persistently being replaced by the old-new feudalism. For this reason, I find Geffen’s Ballad of conditional inclusion very problematic. Empowering one minority, cast as legitimate because it serves the Jewish majority, is a poor substitute for a first amendment or a legal statement that would recognise the rights of all of Israel’s citizens. Mixing metaphors, I conclude that treating Druze as the bulldogs guarding Jewish Israelis does not solve the problem we began with, namely, ‘the dog that did not bark,’ i.e. the fatal omission of a Bill of Rights and any recognition of Israel’s non-Jewish citizens. An omission of this sort is different from an outright silencing of political opponents or explicit denial of legitimacy of political aspirations of non-Jewish citizens. Yet only a small distance separates the two. Read against the backdrop of larger, worrying processes that Israel has undergone in recent years – symptoms include populist demagogues’ campaign against ‘politically correctness,’ toleration of others and basic norms of civility, alongside increased attempts by state authorities to curtail the activities of NGOs and human rights activists, targeted as ‘radical’ and potentially threatening elements – the law thus becomes an indicator of the weakening commitment of the Israeli legislator to democratic rules of the game. Edmund Burke, Reflections on the Revolution in France. Dublin: J. Dodsley, 1790, p. 186. The above reflections originated in comments that were prepared for a panel discussion at the Washington Hebrew Congregation, 27 September 2018. I would like to thank Lauren Strauss for organizing the event and presenting me with some probing questions, and Amos Goldberg, Nathan Kurz, and Nimrod Lin for stimulating conversations and commentary on earlier drafts of this essay. Hannah Arendt. On Revolution. New York: Viking Press, 1963, p. 26. A German-Jewish Zionist, Leo Kohn wrote his PhD dissertation at the University of Heidelberg in the late 1920s about the Irish Free State’s Constitution (Saorstat Eireann). Translated into English it was published under the title The Constitution of the Irish Free State. London: G. Allen and Unwin Limited, 1932, with a foreword by Hon. Hugh Kennedy, the chief justice of the Irish free state. For additional details about Kohn’s draft and its reception see Amihai Radzyner,’A Constitution for Israel: The Design of the Leo Kohn Proposal, 1948.’ Israel Studies 15, no. 1 (2010): 1-24. For discussion, see Eliezer Ben Rafael, Jewish Identities: Fifty Intellectuals Answer Ben Gurion. Leiden & Boston: Brill, 2002, and Gad Barzilai, ‘Who Is a Jew? Categories, Boundaries, and Citizenship Law in Israel.’ In Boundaries of Jewish Identity, edited by Susan A. Glenn and Naomi B. Sokoloff. Seattle, WA: University of Washington Press, 2010, pp. 27-42. Hanna Lerner. Making Constitutions in Deeply Divided Societies. Cambridge: Cambridge University Press, 2011. Yair Wallach, ‘Rethinking the Yishuv: Late-Ottoman Palestine’s Jewish Communities Revisited.’ Journal of Modern Jewish Studies (2016): 1-20. Yehonathan Geffen and Danny Litany. ‘Ballada La-Druzi [Ballad for A druze].’ In Ze hakol bentayim [Hebrew: That’s all for now]. Tel Aviv: Hagar, 1974. Laila Parsons, The Druze between Palestine and Israel, 1947-49. Basingstoke: Macmillan, 2000. Meir Ariel, ‘Shir Keev [Pain Song].’ In Shrei Hag, mo’ed ve-nofel [Hebrew: Songs of Holiday]. Tel Aviv: CBS, 1978. Your history of Israel’s basic laws leaves out one important piece. There ALREADY EXISTS a basic law devoted to protecting civil rights. The Nation-State Law says nothing about preserving those rights for the same reason that the 1st Amendment of the US Constitution says nothing about unauthorized search and seizure. The new law also says that Arabic’s status will not be downgraded. Why does it need to be defined in the law? The operative phrase is “in distress and in captivity because of.” The definition should be based on whoever places someone “in distress and in captivity.” If someone satisfies no criterion for Judaism other than that which would induce someone with the power to place him in distress or captivity, then that should be sufficient to draw a response. On the other hand, if an unquestioned Jew is held captive for clearly other reasons, such as joining an unfavored political movement whose non-Jewish members are similarly persecuted, no response would be warranted.